We invite photographers to share a series of five photos with the story behind each one. We are honored to feature the work of Alicia Fox who specialises in ethical photography. With a focus on photographing people, Alicia’s work includes humanitarian photography, portraiture and sustainable fashion photography. 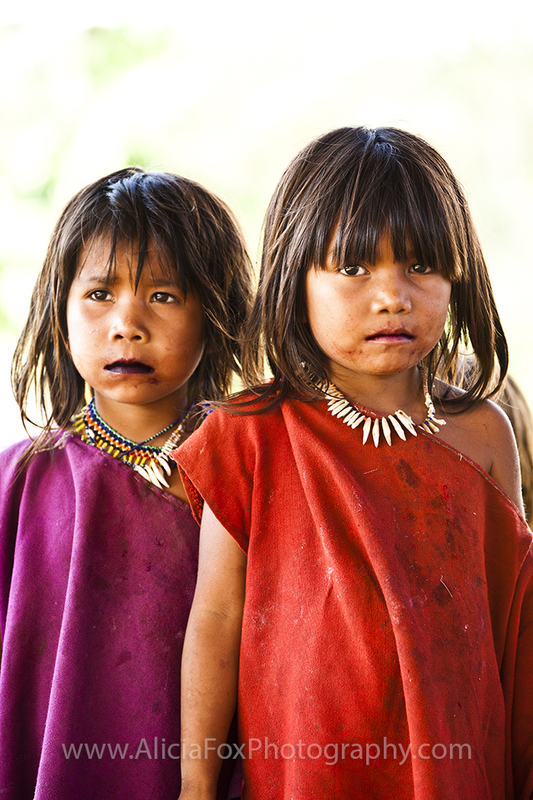 The traditional tribes that dwell in the dense jungle of Peru’s Amazon region are disappearing at an alarming rate. Each village faces individual threats, which include logging, the acquisition of and devastation of land by oil companies, war, illness, climate and modernisation. In 2012, I embarked on a photographic journey to document the traditional dress of these tribes – a visual representation of their traditional culture. Most of these costumes are no longer worn on a daily basis. 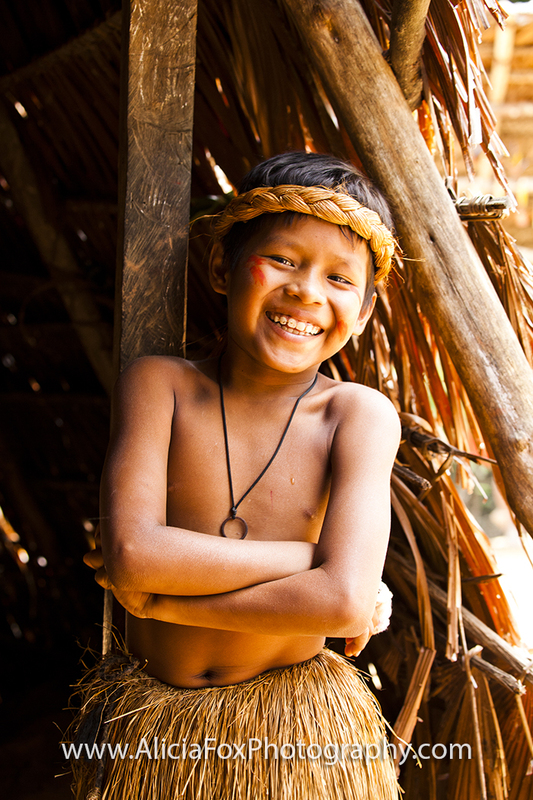 For many of the tribes, tourism is the only factor keeping the ways of their ancestors from being forgotten. Working with NGOs, anthropologists and locals, I was privileged to gain access to remote communities, some of which have only seen outsiders a few times in their lifetimes. 1. These Ashaninkan girls wear simple cushmas (dresses) and necklaces made of beads and monkey teeth. Their lips are purple from preparing masato, the Amazonian beer which is made by chewing sweet potato and yuca (cassava) and spitting into a bucket. The saliva assists in the fermentation process, producing a bacteria-free drink for children and adults. 2. 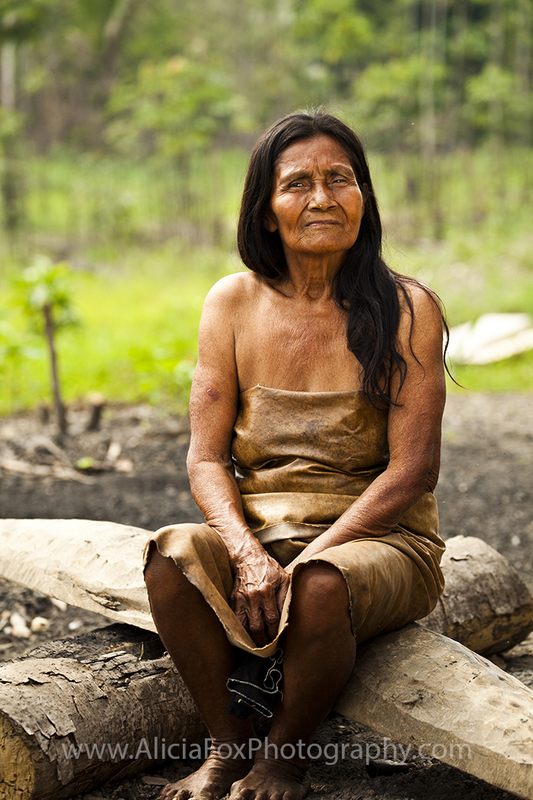 This woman from the Alama tribe fled Colombia with her family during a tribal conflict. They arrived in Peru to begin a new life, with the jungle providing everything needed to survive. 3. This Yagua man rests after a tribal dance display for tourists. He has seen his village change from self-sufficient to one dependent on tourism for income. 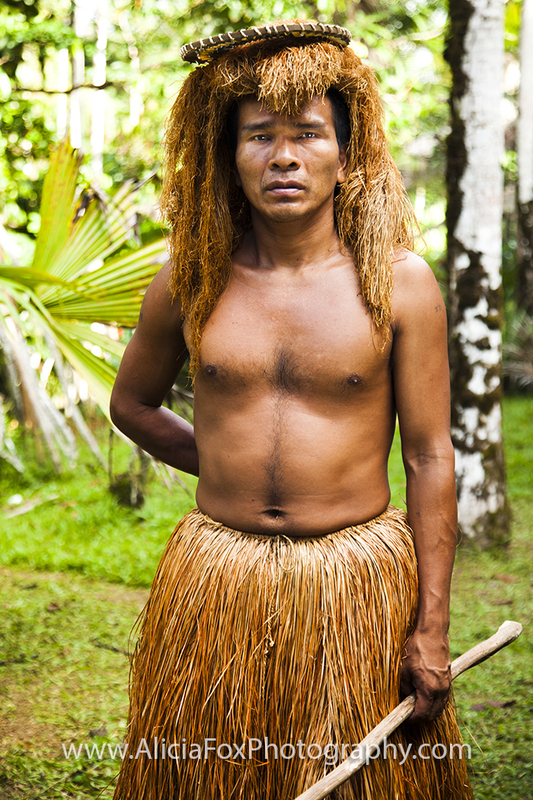 His clothing and headdress are made from the fibres of the Chambira plant. 4. This young Yagua boy enjoys the tourists and doesn’t beg for gifts and money, as other children in the village do. 5. 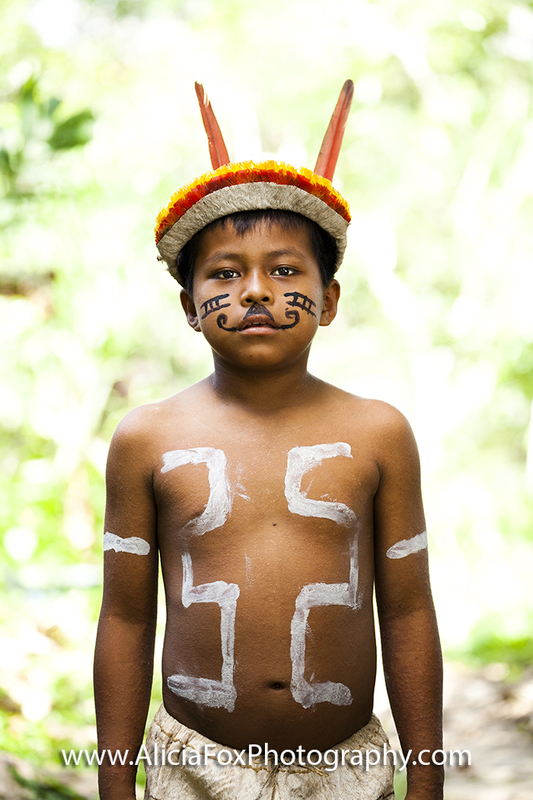 This young Bora boy wears the traditional headdress, paint and fabric of his tribe, which are now worn only during special ceremonies and for tourists. Watch our inspiring mini documentaries! During years of travelling, working and volunteering in developing countries, Alicia Fox witnessed the effects of global-scale overconsumption, which often negatively affects the poor. Alicia saw this most dramatically in the Amazon,while visiting remote tribes to learn about, and photograph their culture, she came to understand the threats tribes face due to logging, oil drilling and modernisation.Alicia's experiences have given her a new determination to work with people and companies who make a positive impact on the world.